zexion likes ice tè. zexion: my icey tè xaldin n xigbar: we might have a problem!. 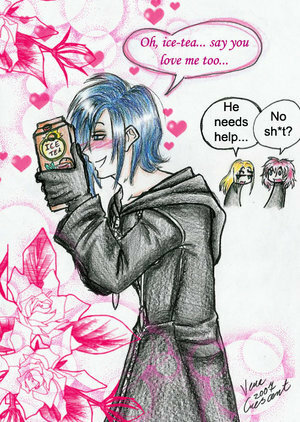 Wallpaper and background images in the Kingdom Hearts club tagged: lol ice tea zexion kh.